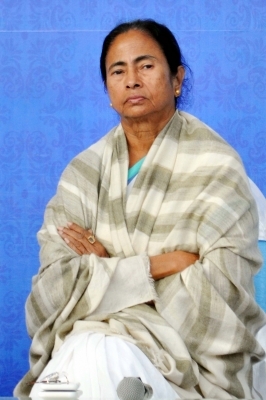 Kolkata July 12 (IANS) West Bengal Chief Minister Mamata Banerjee on Thursday slammed the Income Tax raids at a hospital owned by Swaraj India chief Yogendra Yadav s sisters in Haryana s Rewari saying the Centre was using its agencies to outmuscle opposition forces ahead of Lok Sabha polls. "2019 elections are coming. #BJP using the agencies to silence Opposition voices and openly doing political vendetta. Strongly condemn the IT raid on @_YogendraYadav Ji s family " Banerjee tweeted. Yadav had on Wednesday accused the Narendra Modi government of targeting his family allegedly in retaliation to his launching an agitation for Minimum Support Price (MSP) for farmers. In a series of tweets Yadav said two hospitals run by his sister s family in Haryana s Rewari were raided by Income Tax officials on Wednesday two days after he concluded his nine-day visit to the state to mobilize the people over MSP and other issues.